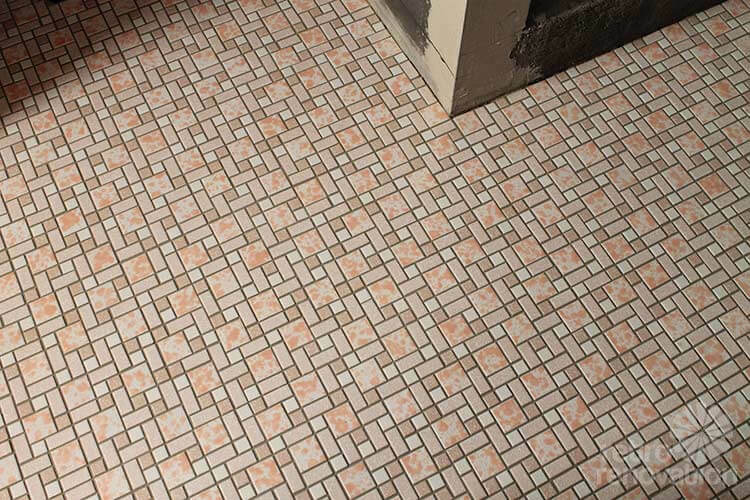 I have this type of mosaic style in my bathroom and the grout is as old as the house (’56), it needs to be redone.. can you give me tips or recommendations on how to regrout this tile? I’ve never regrouted any tile, so I can’t offer much in the way of advice. I did read somewhere that SpectraLOCK can be used to regrout tile, so perhaps consult a professional or contact the company and do more research? Good luck! 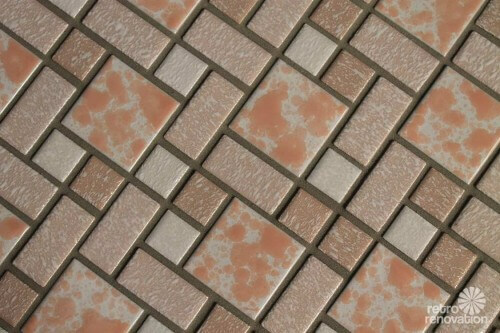 I have this tile in green. Where did you find it? 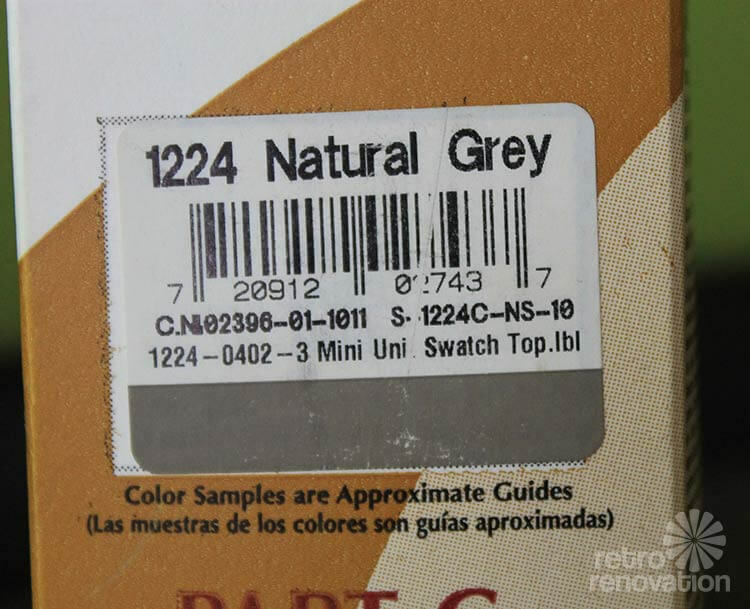 If you need replacement in your vintage color, you can try World of Tile (use the search box to get to our stories) BUT you will need to send them an actual tile sample to color match; no photos. 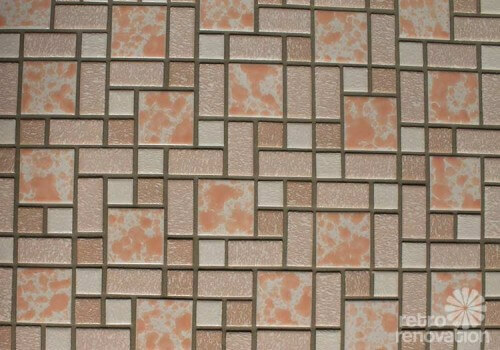 I’m getting ready to install a similar tile in white. I think yours is stunning! 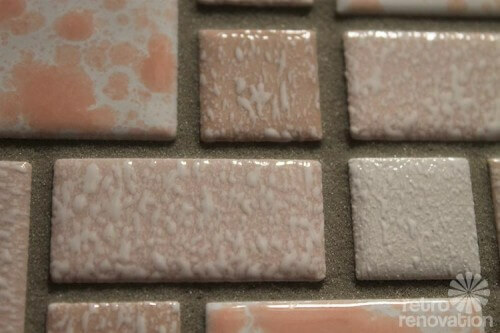 I absolutely love the way the grout makes the tile details pop. 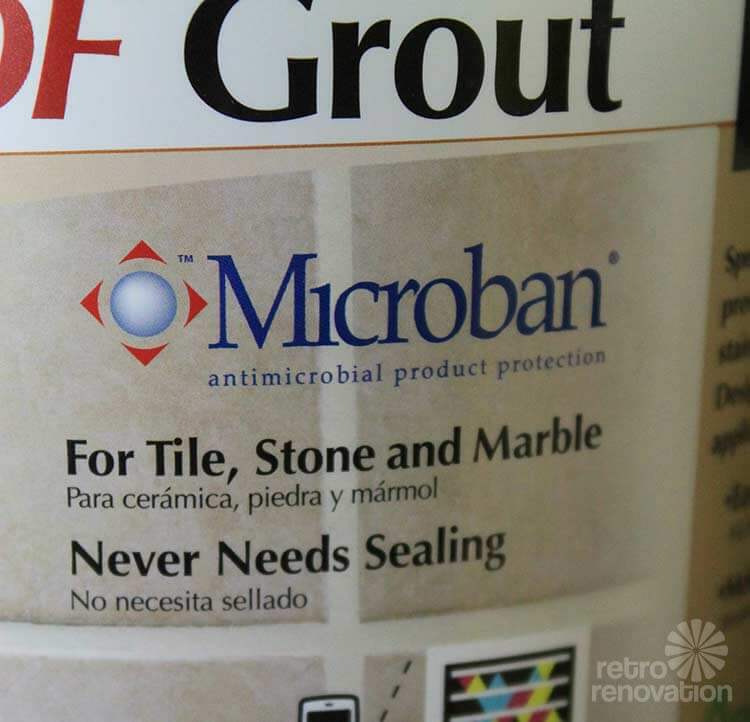 I want to use a similar color grout (dirt is a fact of life, why fight nature?!?) and was thrilled to see how good yours looks installed. I’m just wondering, are you still happy with the SpectraLock, now that you’ve had it for a while? And do you have any idea of the SpectraLock coverage with the mosaic? 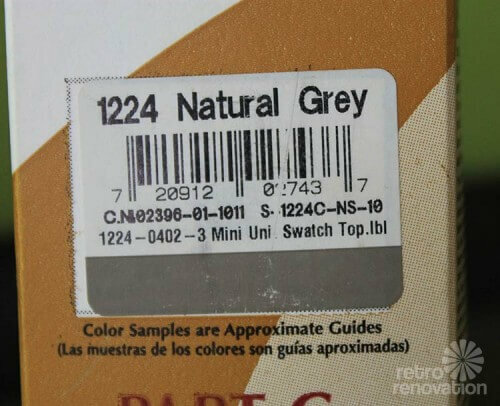 I’ll have to order it, and I have absolutely no idea how much I’ll need, and I can’t find a clue online. 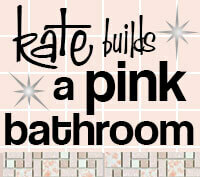 Congrats on your fabulous bathroom, you’re amazing!! 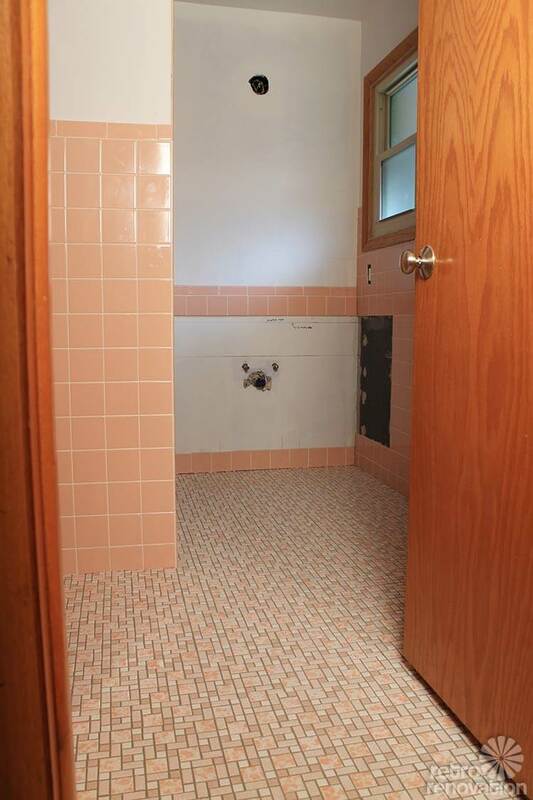 It’s been nearly a year and a half since I finished the bathroom and I’m still loving the SpectraLOCK grout. It looks brand new (as it should!). 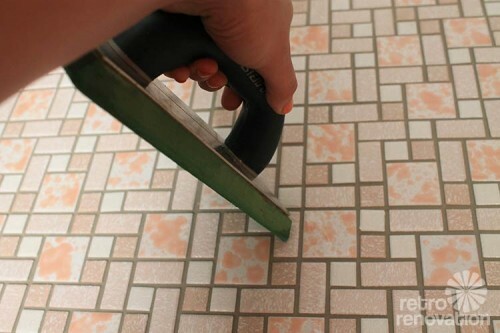 I’ve also used it to regrout the walls in the shower in my other bathroom and that went well also. 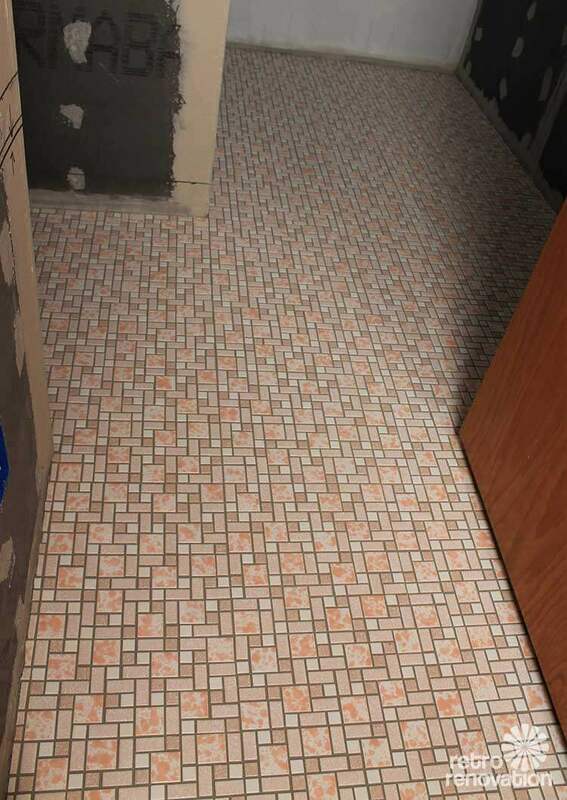 I don’t remember exactly how much I used for the mosaic floor, but I do remember it was more than I calculated needing based on their coverage recommendations for the amount of square footage on their website. I had to make another trip to the store. If you have to order it, I would order slightly more than you think you are going to need. 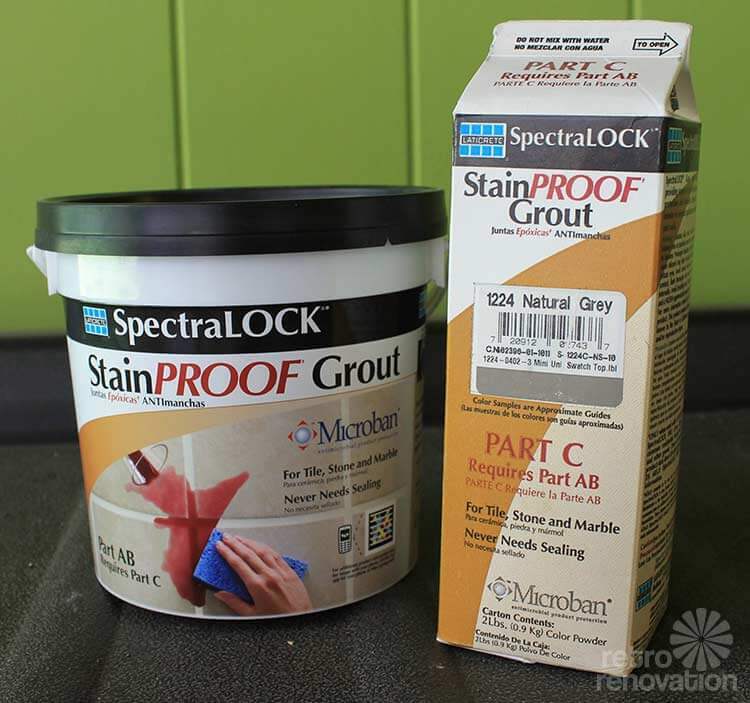 It looks like they’ve added a “grout coverage calculator” to their website, which may be helpful: http://www.spectralock.com/installation/coverage.aspx Hope that helps! Good luck! EDIT: Oops, now I see where you talked about coverage, so never mind that part, sorry. Thanks so much for this posting. 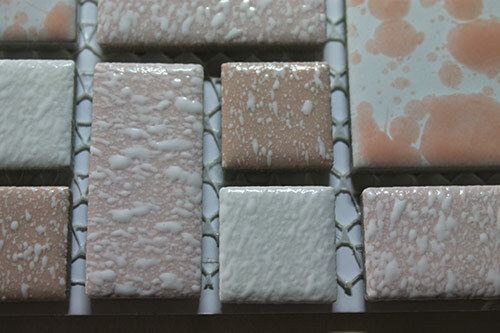 Can you comment on there being a need to set the tiles in an epoxy adhesive (I.e. 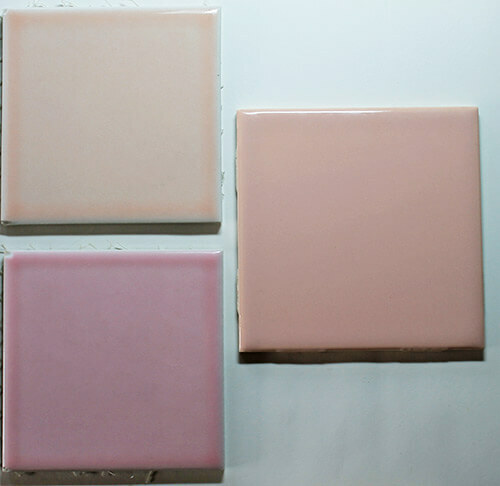 thinset) or will any type of adhesive for initial set suffice to be followed by the actual grouting with epoxy? Not sure if Kate is monitoring this… on this question, it’s likely best you contact SpectroLOCK directly. Thanks so much. 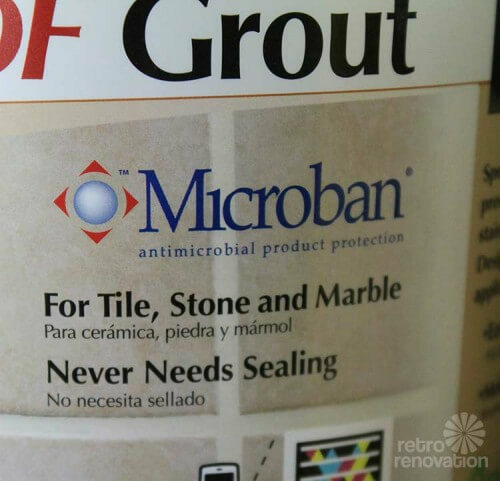 I had checked as well and they confirmed you can use their epoxy as a grout with any type of other adhesive.